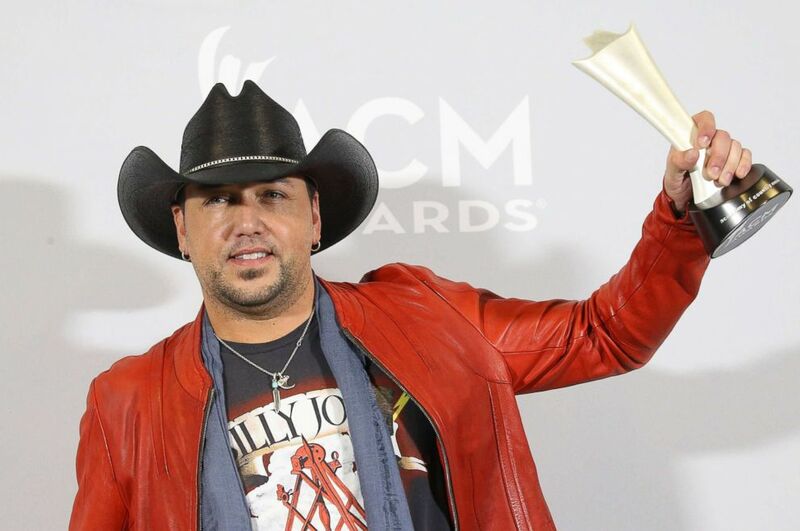 Reigning Academy of Country Music entertainer of the year Jason Aldean returns to Las Vegas this weekend to potentially pick up the ACM's highest honor for the third time. It's bittersweet for the Georgia native, who's also going back for the first time to the place where he experienced "the worst night of my life." 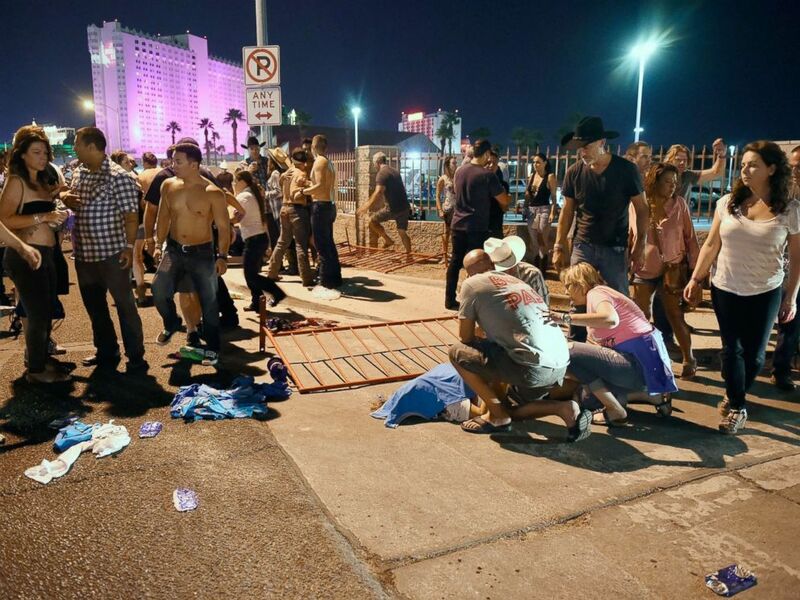 The deadliest shooting in modern American history broke out during his headlining set at last October's Route 91 Harvest Festival. 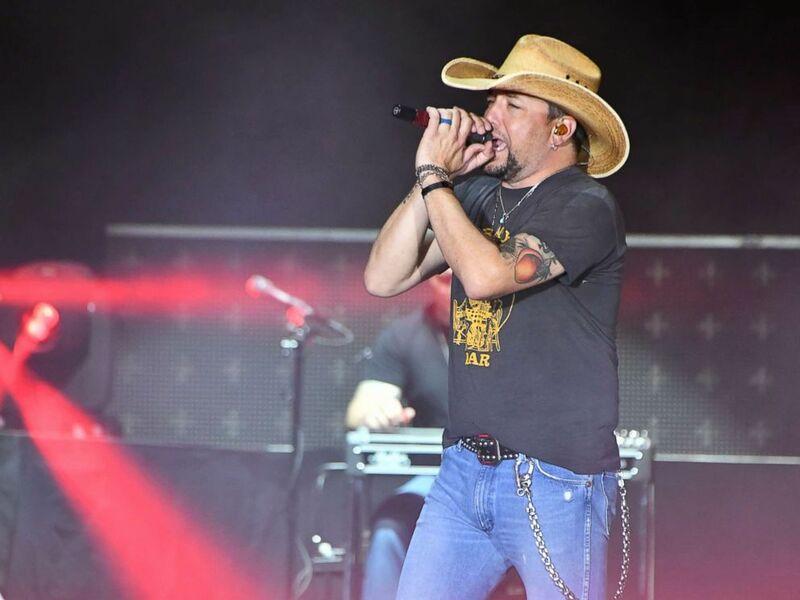 Recording artist Jason Aldean performs during the Route 91 Harvest country music festival at the Las Vegas Village, Oct. 1, 2017, in Las Vegas. "Every time I touch down in Vegas from now on, I'll probably feel a certain way," Aldean told ABC Radio. "That being said, I have good memories of Vegas -- I've been there a million times." "And out of all those times," he continued, "I had one night that was the worst night of my life. But, for that night, I've also had a million nights there that were ... big moments in my career and my life." People tend to the wounded outside the festival grounds, Oct. 1, 2017, in Las Vegas. Aldean is determined not to let the tragedy taint his love for the town that has been the longtime home of the ACM Awards. "I don't necessarily hold that against the city," he explained. "I love Las Vegas, I love going out there. I'm looking forward to going out there this year for the awards show." Jason Aldean poses inside the press room at the 52nd Academy of Country Music Awards held at T-Mobile Arena, in this file photo dated April 2, 2017, in Las Vegas. "I know there'll probably be a lot of eyes on us, just for obvious reasons," he admitted. "I'm glad that going out there this time, we're gonna be surrounded by the country music community." The "You Make It Easy" hitmaker believes that his Music City colleagues who will help him through this difficult time. "I've got a lot of friends in this country music world," he said. "A lot of those people reached out to us for support, kinda helped us through all that stuff that happened." He went on, "So, if I'm gonna go out there, I'm glad this is what we're going out there for -- really the first time."